Run by a family, Turtle Beach Hotel is a beautiful property by the seaside that offers a very homely ambiance to travellers seeking for a relaxing holiday. Ideal for families and couples, it offers large and comfortable rooms, swimming pool, restaurant and bar, and recreational activities. 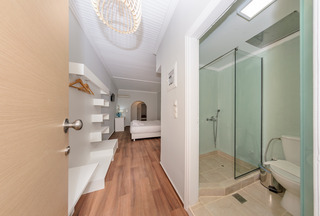 Turtle Beach Hotel offers two sets of rooms, One Bedrooms and Two Bedrooms that can accommodate 3 and 4 adults. All the rooms come with a fully-functional kitchen that includes: electric hob, fridge, electric kettle, utensils and more. Standard facilities are air conditioning, safe deposit, private bathroom, shower, WiFi connection and telephone, and large furnished balcony. Two Bedroom Apartments come with one double bed and one single bed, while One Bedroom Apartments come equipped with either two single beds or one double bed. 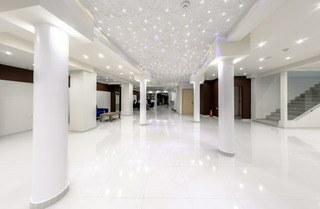 Rooms are also modern, very beautifully decorated and receive plenty of sunlight. 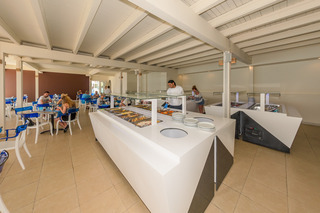 It houses a restaurant that serves breakfast, lunch and dinner—the menu includes both local and international cuisines. Also in the lobby, there is a bar that serves both alcoholic and non-alcoholic beverages. It has an outdoor swimming pool surrounded by loungers and parasols—drinks are served around the pool. Other than that, Turtle Beach is renowned water sports destination among travellers. You can go swimming, fishing, boating, diving, sailing, scuba diving and water excursion. Other famous activities among travellers are walking, cycling, painting and bird watching. 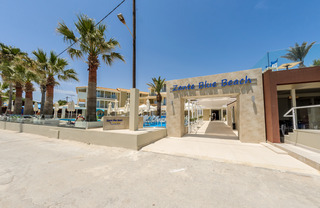 Located 100 metres from the beach, Turtle Beach Hotel is a homely property in Keri Lake Zante Island. The hotel is surrounded by lush green trees on one side and the sea on the other—the view is incredible. Keri is an interesting destination that breaks away from all traditional holiday trends. It offers a tranquil ambiance, ideal for a quiet seaside retreat. Few destination to bear in mind are, Keri Resort Centre (50 metres), Mini Market (10 metres), restaurants & bar (100 metres), Airport (10 km), Zakynthos Town (18 km) and Main Ferry Port (18 km). *** Its sister hotels Captains Apartment and Harbour Apartment are built adjutant to Turtle Beach Hotel.